There was a time, not that long ago, when if I was short of a topic for a post, I could Google “Gazprom” and there was sure to be a story out there about another expansion, or take over of a national pipeline – or some other sign of the companies growth and power. But in the natural gas industry there has always been a certain volatility. In the United States Chesapeake, the second-largest natural gas producer in the US, is laying off 800 workers as it completes its plans to re-organize by the end of the month. The price for natural gas is around $3.79 per kcf which still falls below the price required to make many wells in tight shale adequately profitable. 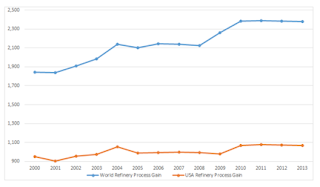 I have written about gas price problems a number of times in the past, dating back to at least 2009 and though the price is now up over $1 per kcf from those times, as the recent report in the OGJ noted, Chesapeake had, in estimating returns, anticipated it would be up around $7.21. All the major terms and conditions of future Russian natural gas supplies to the Chinese market via the eastern route were agreed on, namely, the export volume and starting date, the take-or-pay level, the period of supply buildup, the level of guaranteed payments, the gas delivery point on the border as well as other basic conditions of gas offtake. The price conditions will not be linked to the Henry Hub index. It turns out that the price has yet to be determined. Gazprom is expected to sell its gas into Europe this winter at around $10.62 per kcf, which is down about 7.5% over last year. Nevertheless the Chinese are hoping to pay no more than $7.10 per kcf. And they have more than a little leverage. 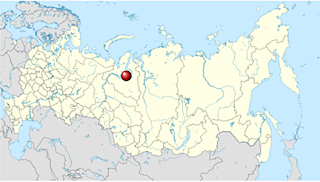 Gazprom had been hoping to market the liquefied natural gas (LNG) from the ExxonMobil fields at Sakhalin Island as well as from their own wells, but that discussion has now fallen through so that this becomes a competitive rather than complimentary source of supply. Concurrently China has just confirmed the increase in purchases of natural gas from Turkmenistan. Not that many years ago all the exported natural gas from Turkmenistan had to run through Gazprom pipes, and thus the company could charge a hefty premium in carrying the gas to Europe and elsewhere. With the opening of pipelines from Turkmenistan to China, that monopoly disappeared, and now the Chinese have agreed to take some 2.3 trillion cubic feet (Tcf) (65 billion cubic meters) of Turkmen natural gas per year, increasing their take by 882 bcf and requiring an additional pipeline to carry this new volume. Given that the country already supplies over half of Chinese natural gas imports, this will continue to squeeze Gazprom’s ability to control prices in Asia. 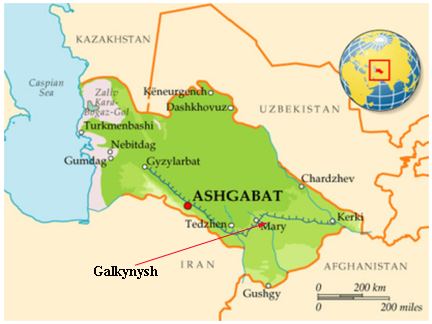 This new volume will come from a new field in Turkmenistan, the Galkynysh, which is expected to hold a reserve of 900 Tcf. China is investing $8 billion in the development of the field, and the new pipeline to China. And Gazprom’s problems don’t end in Asia. Part of the problem that they ran into at Sakhalin Island is that ExxonMobil is working with Rosneft to build an LNG plant through which to market their product by tanker. This circumvents the pipeline monopoly which has allowed Gazprom to dictate terms in the past. The plant is expected to handle 5 million tons of LNG per year, and is anticipated to come on line in 2018. Initial construction contracts have now been signed. 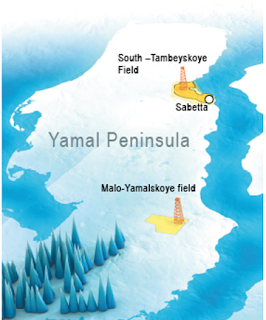 Roseneft, and Novatek have both now been given permission to export LNG, overturning the Gazprom monopoly, and Novatek has the deposits in the Yamal Peninsula that could be more conveniently marketed to Europe, but with LNG tankers that could also reach Asia and beyond. The natural gas will initially come from the South Tambeyskoye field, which has an anticipated reserve of 17 Tcf, with an expected production of around 1 Tcf per year. The plant will operate three trains, each with a capacity of some 5 – 5.5 mmt. It is perhaps no surprise that China is backing the plan with a 20% investment, for which it anticipates being able to purchase at least 3 million tons of LNG pa. An additional 10% of the funding is likely to come from either Japanese or Indian investors. Total of France also has a 20% investment and presumably will gain a proportionate share of the shipments. As if these challenges to Gazprom’s dominance were not enough trouble, Gazprom is seeking to have two German companies EON SE and BASF SE pony up another billion dollars because Gazprom has been able to increase the reserves at the Yuzhno-Russkoye field in Siberia. And just to rub it in, the European Union is planning on hitting the company with anti-trust charges. Given that the company has been able to dominate natural gas sales into Europe though pipelines, and thus has also been able, in the past, to control prices, this new step could prove expensive to the company, just as it faces greater competition in all its export markets. 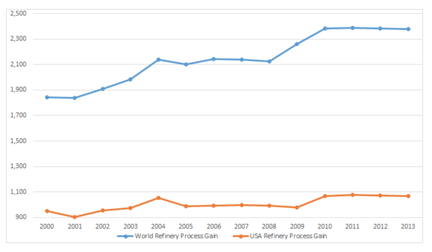 (This does not even consider the potential for LNG competition out of the United States). The company is getting its supplies from increasingly expensive locations (hence the need for the cash from the German companies) and the income losses that it has seen in the market due to Turkmen competition are already hurting – but it needs more money if it is to be able to keep up its market share. Before leaving there is an intriguing graph that Ron Patterson has posted at his site. The plot is at the end of a discussion on the difference between counting all the oil produced in a country and the break-down into crude and other sources that add into the total. One part of this is the gain in volume, process gain, that comes when crude is refined. It therefore acts as a marker of the volume of crude that is running through refineries, and as Ron notes, this has now plateaued for the past few years. Interesting!!! A new social media / networking site debuted last week for the oil and gas industry - Oilpro.com. The idea is sharing energy knowledge, and you have plenty to bestow upon the community. I would be honored if you'd join us on the site, where you'll find a blogging tool that I think you'll love. While only weeks old at the time of this writing, the Oilpro community already numbers in the thousands and could benefit greatly from your perspectives on the energy world.